Deputy Sheriff Rhett Cooper is heartbroken when Katherine Foster, the young lady he has been courting, falls prey to the scheming of a rich, dapper con man. Though he takes the impetuous girl over his knee and spanks her bare bottom soundly, his strict chastisement and stern warnings do not dissuade her, and she runs off to San Francisco in the scoundrel's company.When Katherine finally returns home six months later, arriving in town in a fancy carriage with the arrogant, smooth-talking rogue at her side, it quickly becomes apparent that she is quite ill. Rhett soon learns foul play was involved, and he sets out to rescue the woman he loves and bring to justice the man who hurt her. 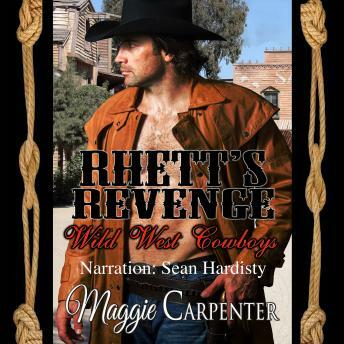 In spite of Rhett's demand that she leave the matter to him, as soon as she regains her health, Katherine puts herself in jeopardy yet again by attempting her own revenge. Determined to rein her in, Rhett punishes Katherine thoroughly and then claims her properly, and soon their passion for one another is burning hotter than ever before. But even if he manages to keep his woman under control, can a small-town lawman win a battle of wits with a clever, ruthless criminal?